A section of industrialists on Thursday urged the government not to hike gas and electricity prices. 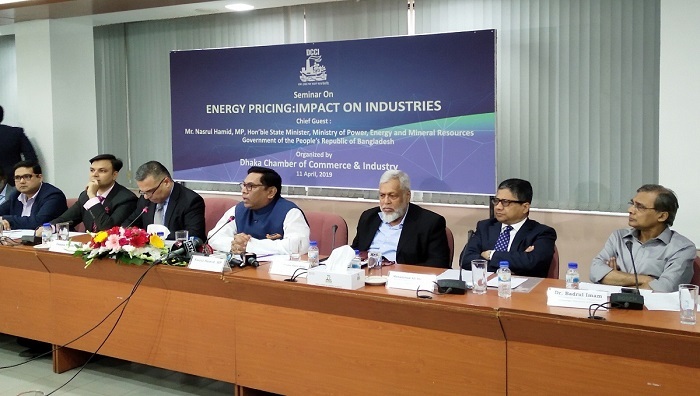 The call came from a seminar titled ‘Energy Pricing: Impact on Industries,’ organized by the Dhaka Chamber of Commerce and Industries (DCCI) at its auditorium in the capital. Dr Ijaz Hossan, professor of chemical engineering department of BUET and Dr Badrul Imam, Supernumerary professor of Geology of Dhaka University and others were present in the seminar.